Foskor is a proudly South African producer of phosphates and phosphoric acid with international exposure. 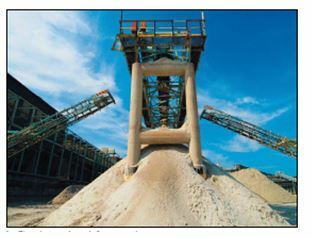 Foskor unlocks shareholder value through the profitable, responsible and sustainable beneficiation of phosphate rock into either phosphoric acid or phosphate-based granular fertilisers sold globally. Foskor is the only vertically integrated phosphate producer in South Africa. From phosphate-bearing ores, the operations in the Mining Division process phosphate rock concentrate, which is crucial for stimulating and raising crop yields. 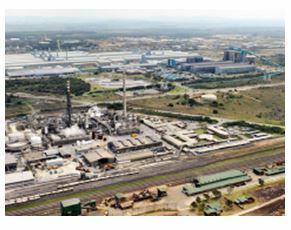 The Acid Division Plant manufactures sulphuric acid, phosphoric acid and phosphate-based granular fertilisers (MAP and DAP) by using phosphate rock as a raw material. About 84% of Mining Division's phosphate rock concentrate is railed to Acid Division and the rest is sold externally. The Acid Division exports phosphoric acid to India, Japan, Bangladesh, the Netherlands, Mexico and Dubai. Phosphoric acid has agricultural, industrial, medical and retail applications. Products made from phosphoric acid include catalysts, rust proofing materials, chemical reagents, latex, dental cements, tooth whiteners, toothpaste, disinfectants, food supplements, carbonated beverages, waxes, polishes and animal feeds, among others. The Acid Division P lant produces sulphuric acid (H2SO4), phosphoric acid (P2O5) and granular fertiliser (MAP/DAP). H2SO4 is primarily an input in the production of P2O5. The granular fertiliser plant operates independently from the acid plants and may be shut down at times when demand is low. The Acid Division significantly improved its Safety, Health, Radiation, Environment and Quality (SHREQ) performance and contributes to sustainable development outcomes for all stakeholders. One of the key advantages of the establishment of the Foskor Group is that it provides a wider range of expertise on all aspects of the business, including SHREQ Management with its dedicated and committed team. It also gives increased access to expertise and best practices that can be shared across the Foskor Group, creating a faster rate of improvement. The Corporate Social Investment teams in both divisions continue to be part of different initiatives in the host communities where we can make a positive impact. Our programmes are aimed at the improvement of the quality of the recipients through promotion of education, rural development, and health, poverty alleviation as part of social development. The Community Trusts in Mining and Acid divisions continue to implement the identified community projects with the dividends as and when they are available. Foskor believes in uplifting impoverished communities by providing the means to be self-sufficient. CSI Acid Division (Richards Bay), provided widows, and female farmers with tools and seeds to cultivate their own gardens. These ladies work together to form agricultural cooperatives, they will sell their fresh produce to local retail markets to be self- sustainable and alleviate poverty. Department of Arts and Culture, Foskor, and local skills centre, Zikulise Upliftment Skills Centre formed partnership in supporting and training 10 disabled ladies from Mzingazi. They were trained and received certificates on bakery. The ladies will use their skills in bringing in a steady income to those wanting to start their own businesses and this will ensure that they are independent. The under privileged youth from local community were given an opportunity to participate in a 20-day ceramic development training programme. Foskor, as part of corporate social investment focus, assisted the disabled beneficiaries with their transportation to and from the skills training centre. This youth also received their certificates at the end of the intensive training. This programme was to ensure that the neighbouring communities benefit and also able to be self-sustainable. After their training the youth will be able to market their products at relevant expos, trade fairs and on market days around Richards Bay. Foskor hosts various sports days, the proceeds of which go to charities. In both the Mining and Acid Divisions a 21km fun run, named the F21 Half Marathon, is held annually. The Group's focus lies in motivating staff to perform to the best of their abilities and transform the business into a highly competitive worldclass company that is a source of pride for all South Africans. Foskor is a strong proponent of the principle of "freedom of association" and through negotiations with employees, as evolved structures for meaningful negotiation and consultation. With these structures and the practice of participative management, an environment has been created in which Foskor's employees make a valuable contribution to the performance of the company. Foskor (Pty) Ltd was awarded the Top Employers South Africa 2016 certification. Auditors: PricewaterhouseCoopers and Ngubane & Co.